TOKYO, Japan (CNN) -- Death row inmates in Japan spend decades in isolation and face inhuman conditions that can lead to mental illness, Amnesty International said Thursday. Amnesty urged Japan's new government to improve death row conditions. Some who have exhausted their legal options are not told they will be put to death until the last minute, the human rights group said. Japan executes such prisoners despite signing an international law that requires inmates with serious mental illness to be exempt from the death penalty, according to Amnesty. The report urged the government to establish a moratorium on executions and consider abolishing the death penalty. As many as 102 prisoners face execution in Japan -- many of them elderly inmates who have lived in isolation for decades, the human rights group said. However, the number of death row prisoners suffering from mental illness is unknown. "The secrecy around the death penalty and prisoners' health, combined with a lack of scrutiny by independent mental health experts, has led to reliance on secondary testimony and documentation to assess the mental state of those on death row," Amnesty said. Japanese officials declined to comment Thursday. The report by the London-based human rights group comes as a new Japanese administration prepares to take over after ousting the long-ruling government in a landslide victory last month. Amnesty urged the new Democratic Party of Japan government, which will form in mid-September, to improve death row conditions. 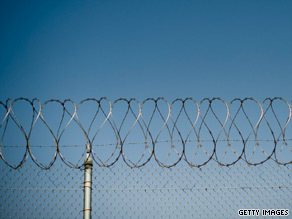 Inmates are especially vulnerable because of their lack of human contact, Amnesty said. Inmates are allowed only visits to restrooms and must remain seated in their cells at all times, without light and fresh air, Amnesty said. "These inhuman conditions increase a prisoner's anxiety and anguish, and in many cases push prisoners over the edge and into a state of mental illness," said James Welsh, Amnesty International's health coordinator and lead author of the report. The illness affects prisoners' ability to take part in the legal process, sometimes leading them to end their appeals, Amnesty said.